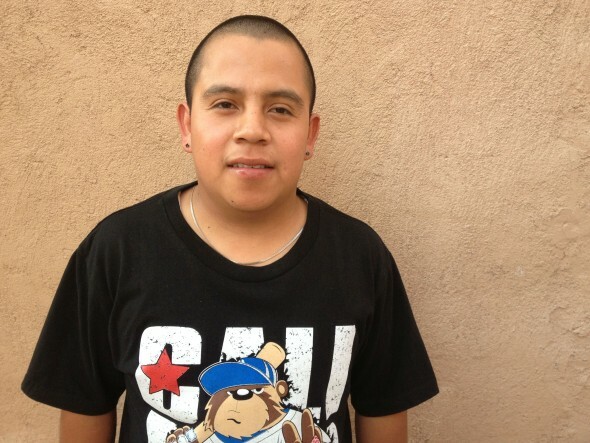 When undocumented children come to LA, who greets them? Today, President Obama announced he is using executive authority to “fix as much of our immigration system as I can on my own, without Congress.” Pointing the finger at the GOP for Congress’ failure to pass comprehensive immigration reform, Obama said this inaction has contributed to the recent surge of immigrant children trying to get in to the U.S. illegally from Central America. Obama is asking Congress for increased powers to send unaccompanied children from Central America back home from the U.S. border they tried to cross illegally. These border crossings are part of life for many undocumented children who have settled in Los Angeles. These kids have to enroll in school while facing a byzantine immigration system. Kids in Need of Defense (KIND) founded by actress Angelina Jolie and Microsoft Corporation, is trying to help by providing free legal counsel to unaccompanied migrant children who must go through legal proceedings to make a claim to stay in the country. We caught up with local KIND attorney Nelson Castillo who represents several kids in Los Angeles. Castillo says these children came to the US illegally several years ago to escape violence and poverty in their countries, to reunify with loved ones and to make a better life for themselves in the U.S.
16 year old Brian Alvarez sits with his KIND attorney Nelson Castillo in front of his Bell Gardens apartment. With Castillo’s pro bono assistance, Alvarez received his Green Card six months ago. When asked about being granted permanent residency in the U.S, Alvarez said “It felt like winning the Superbowl. It’s just so exciting. So happy. You don’t really have words to describe how you feel.” Alvarezs says he has his sights on college and an engineering degree.